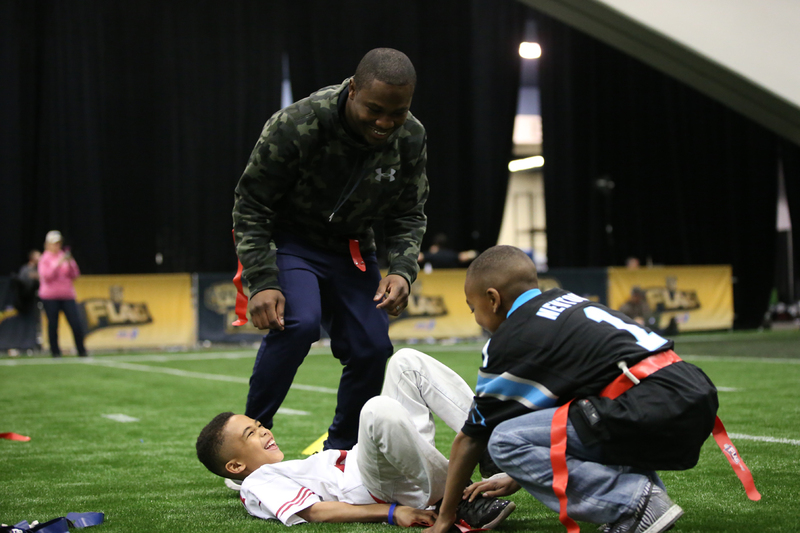 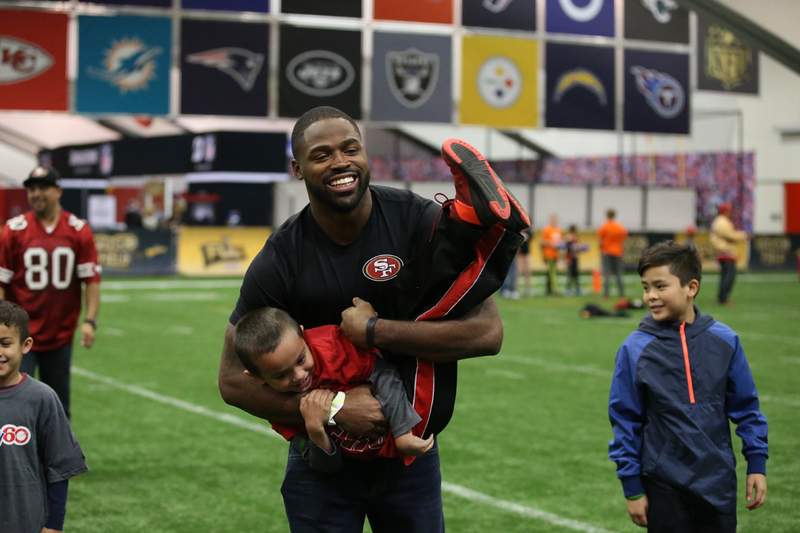 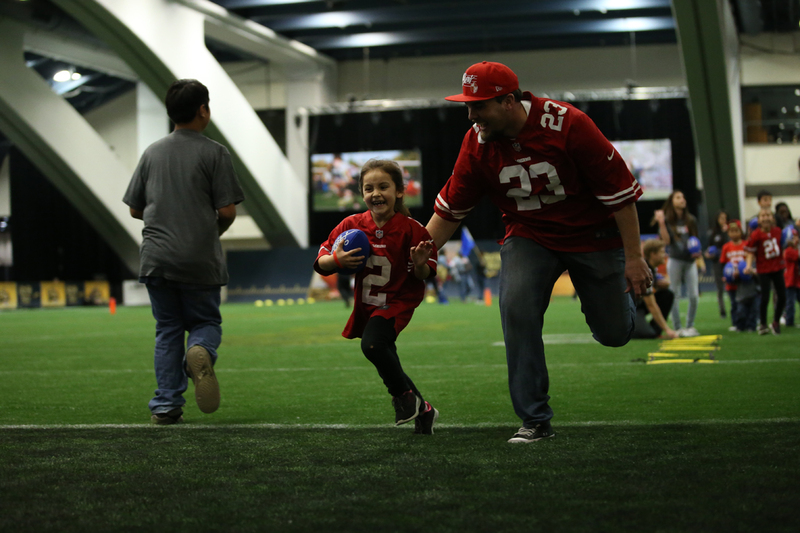 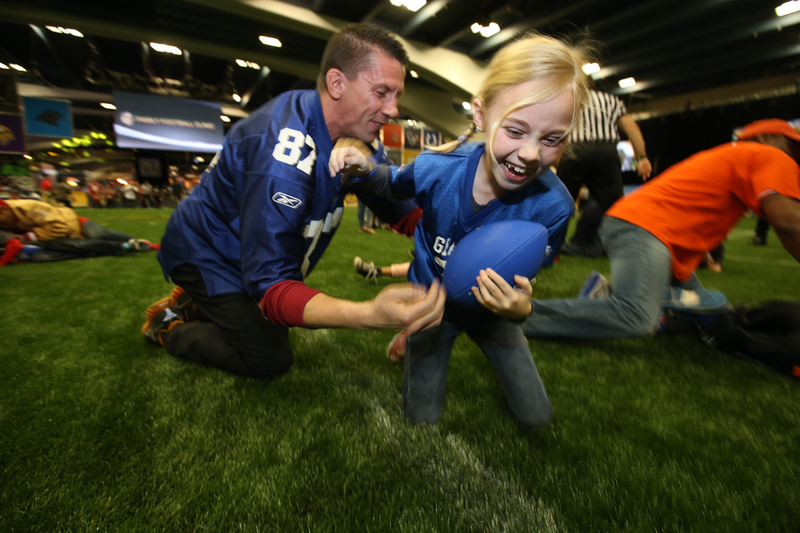 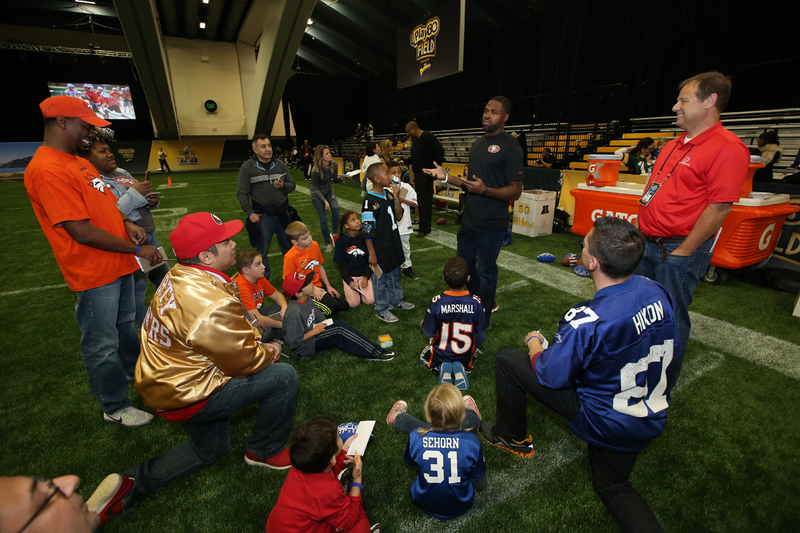 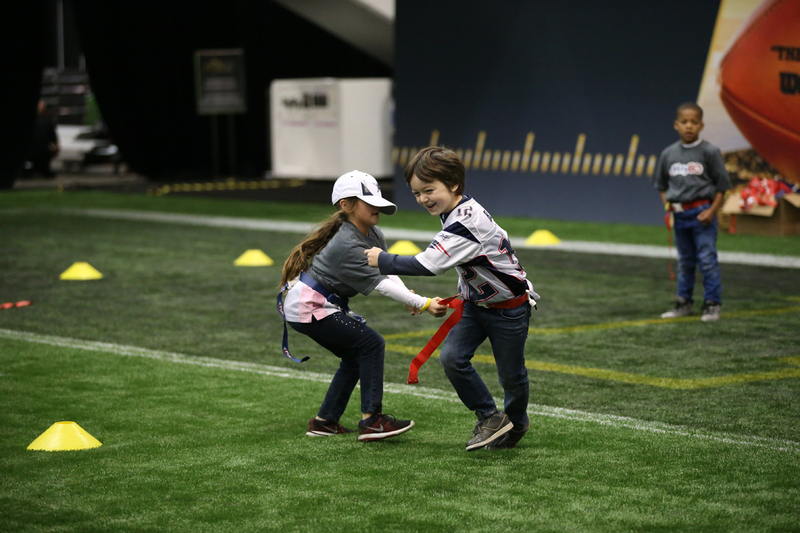 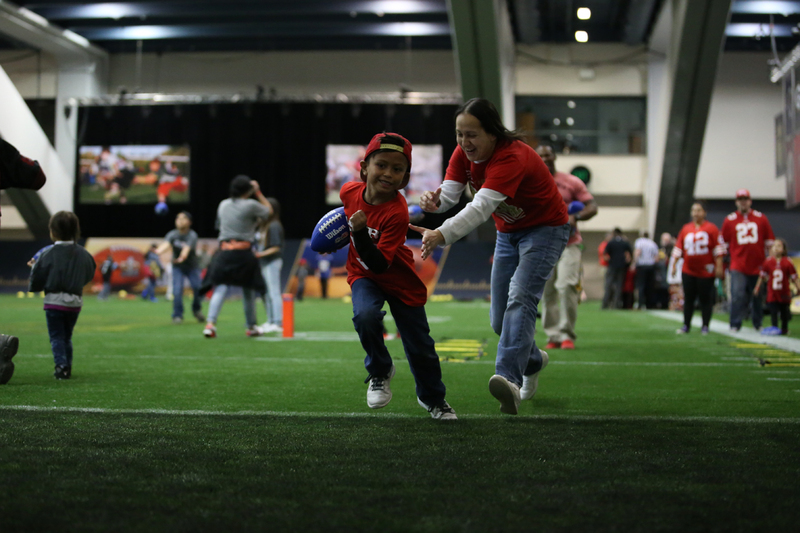 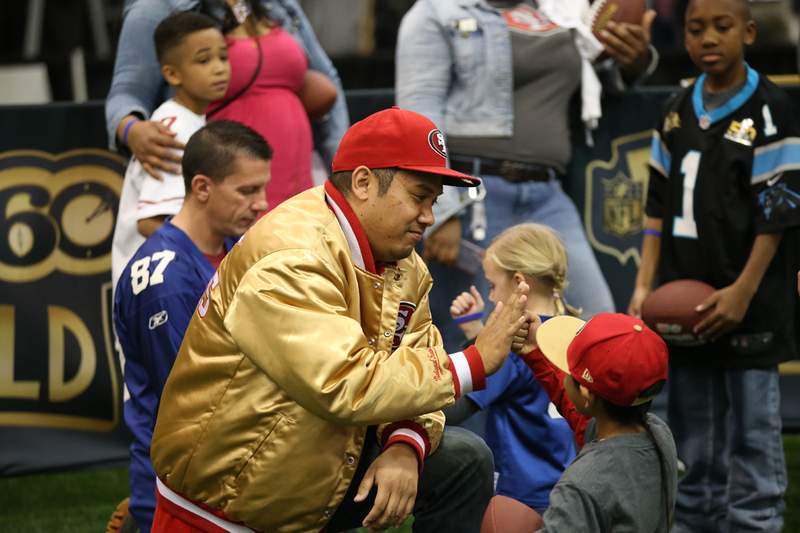 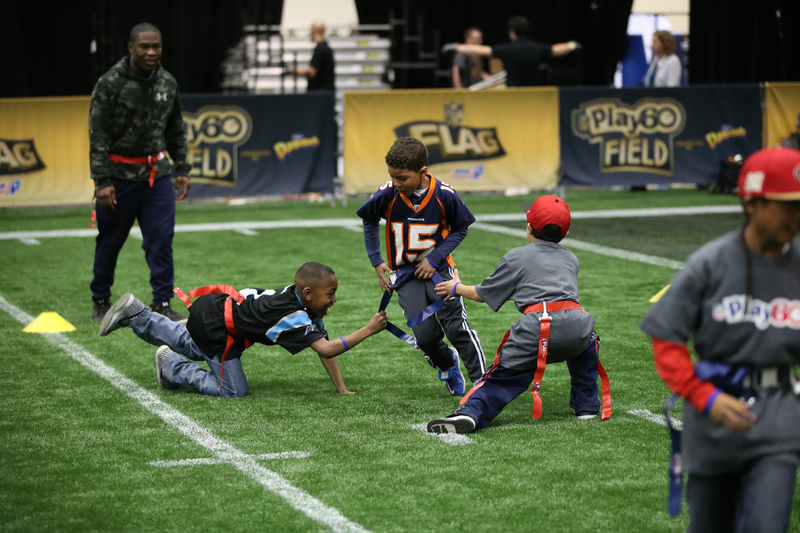 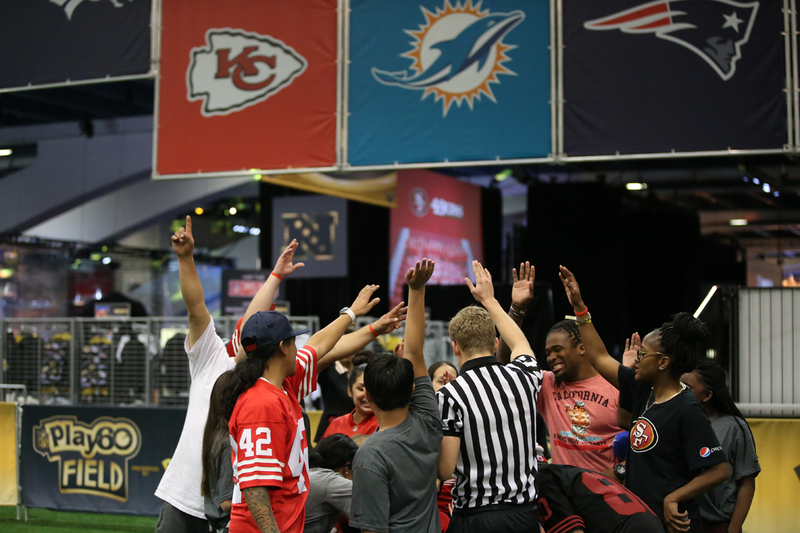 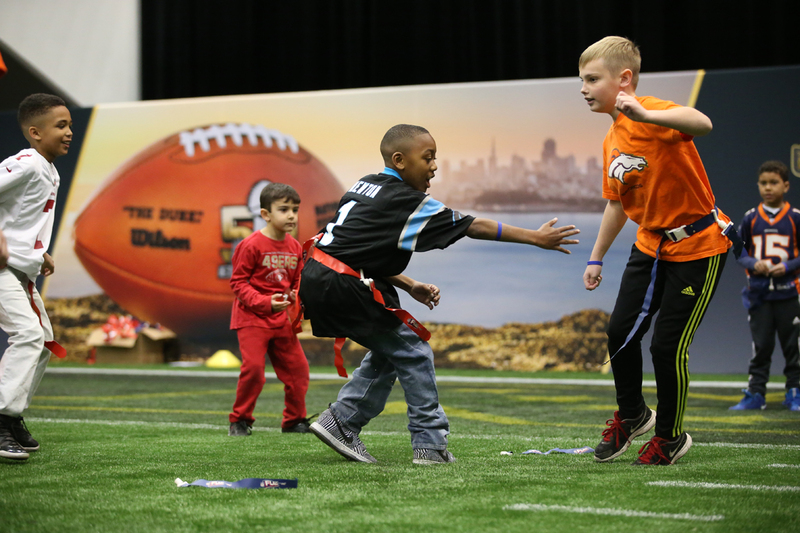 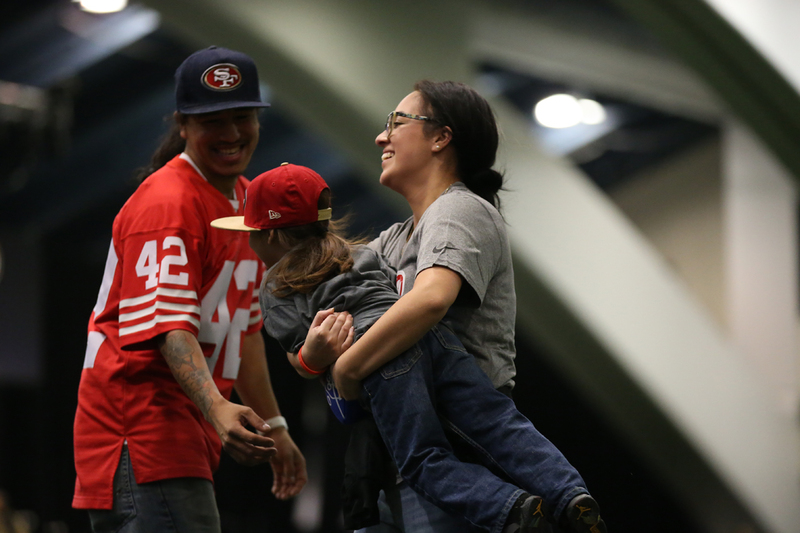 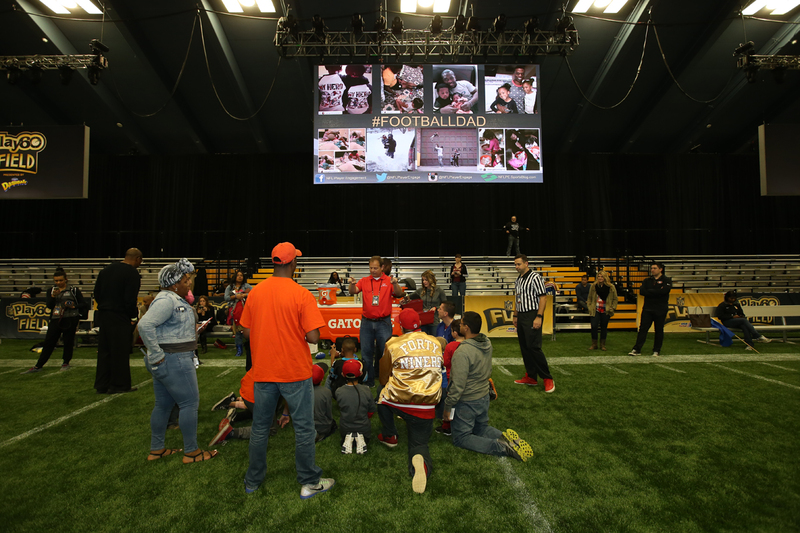 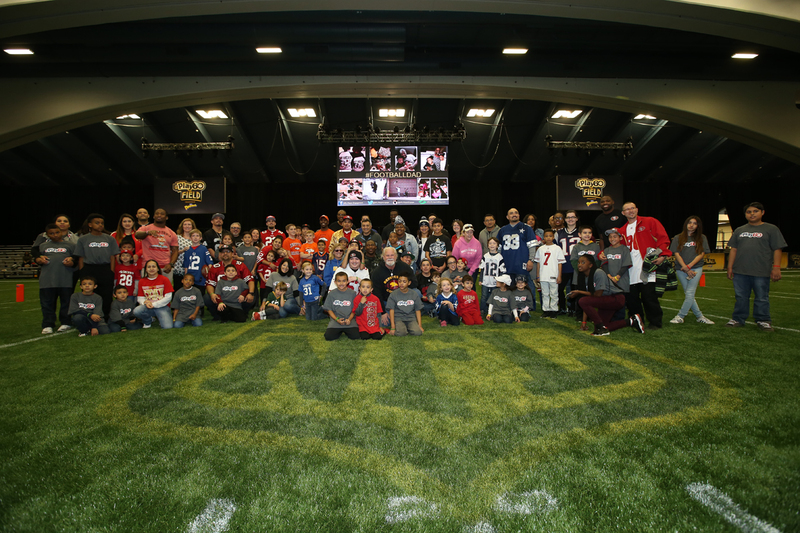 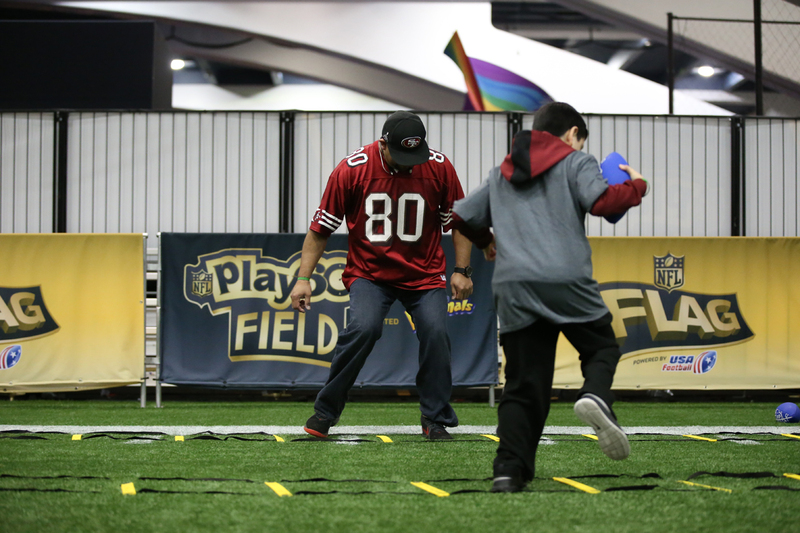 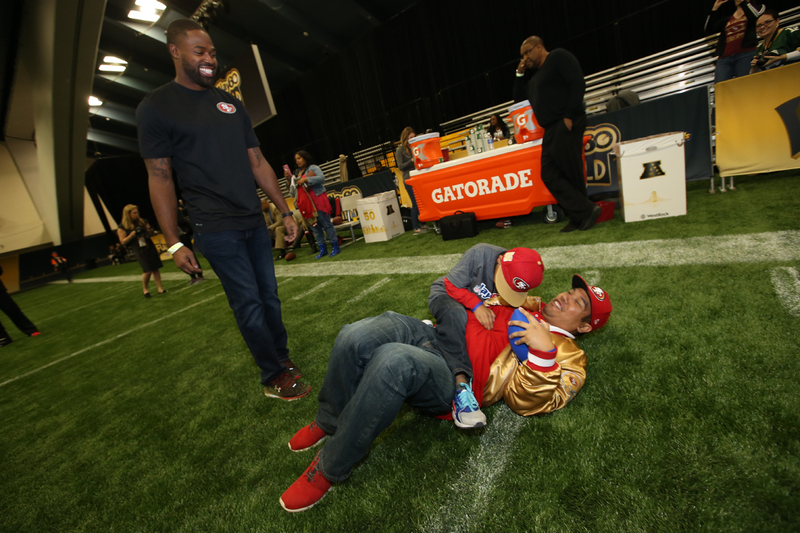 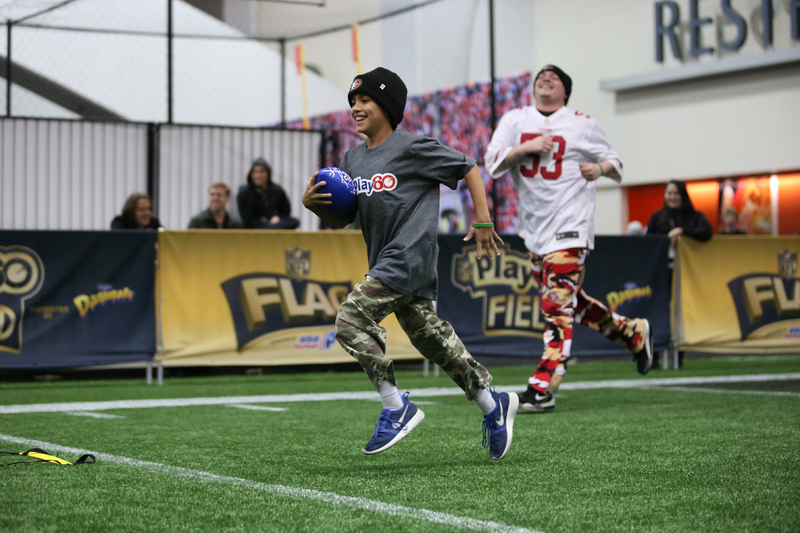 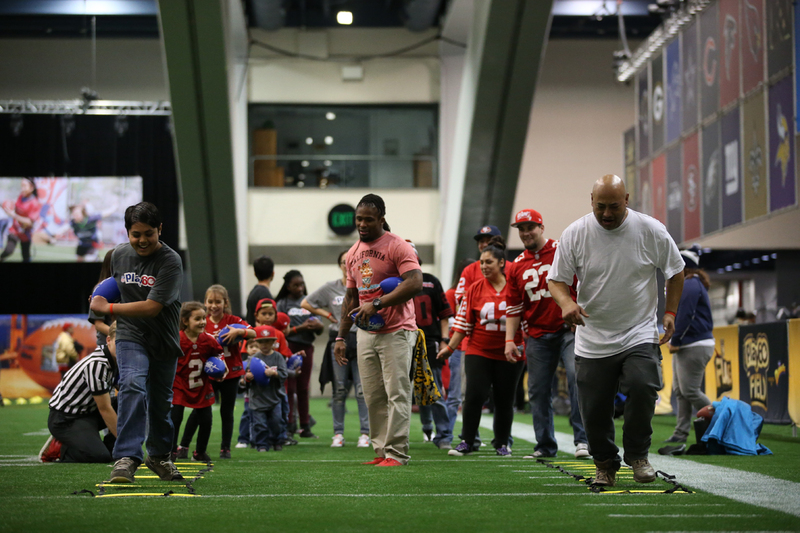 Presented by NFL Player Engagement, boys and girls ages 6 – 12 were invited to participate in fun football activities with their parents or guardians on Thursday at the NFL Experience Youth Field in the Moscone Center. 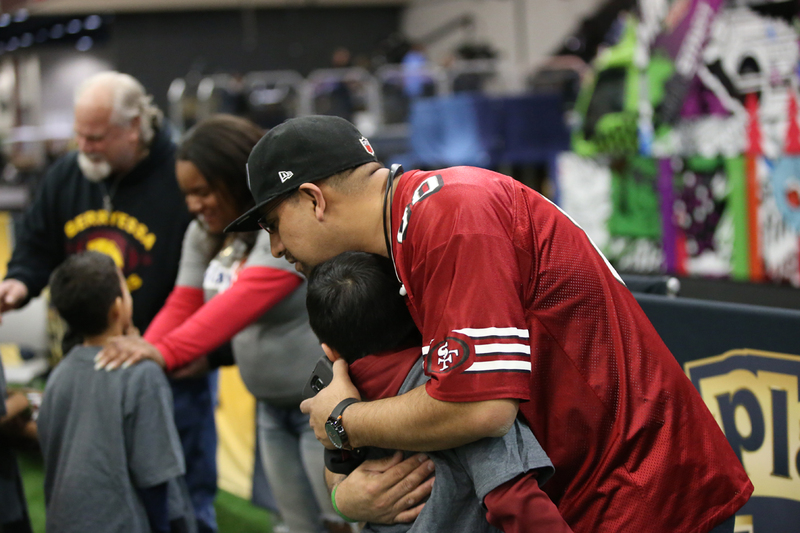 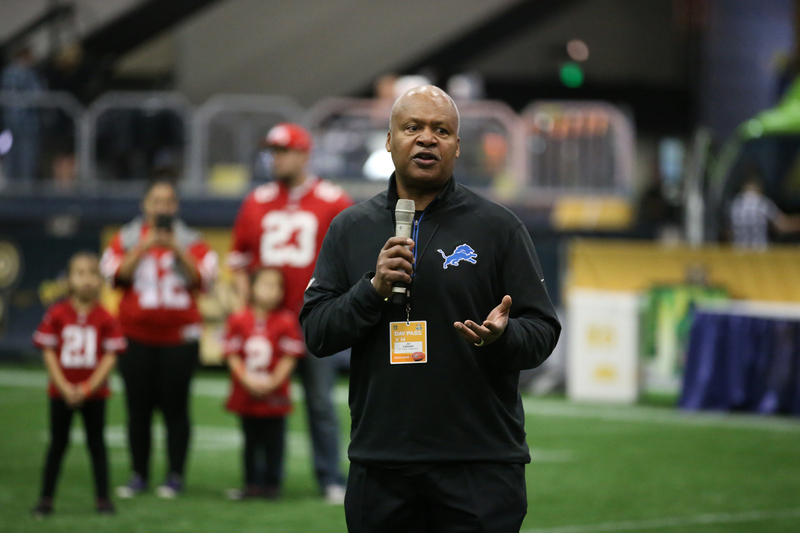 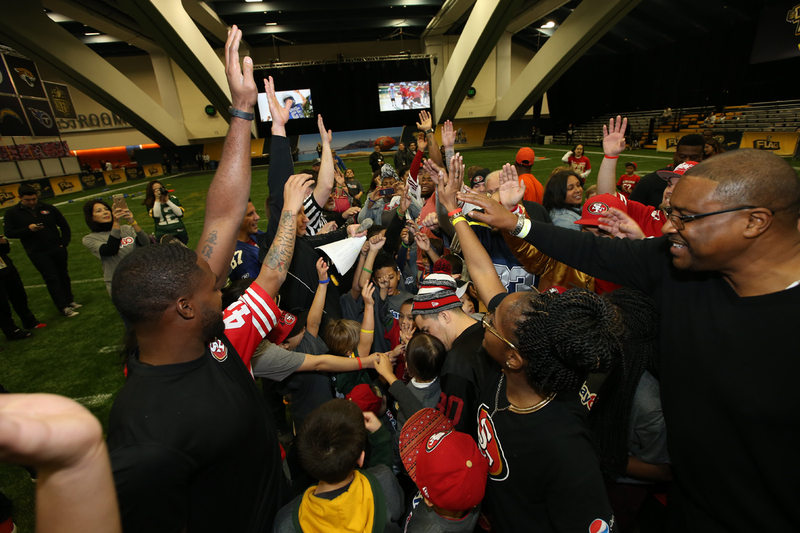 Kids and parents learned how fun it is to PLAY 60 and create new football memories as a family. 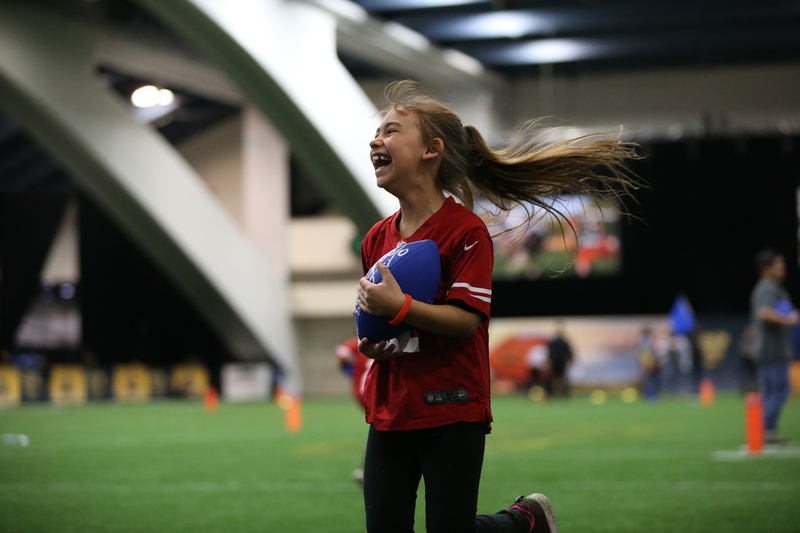 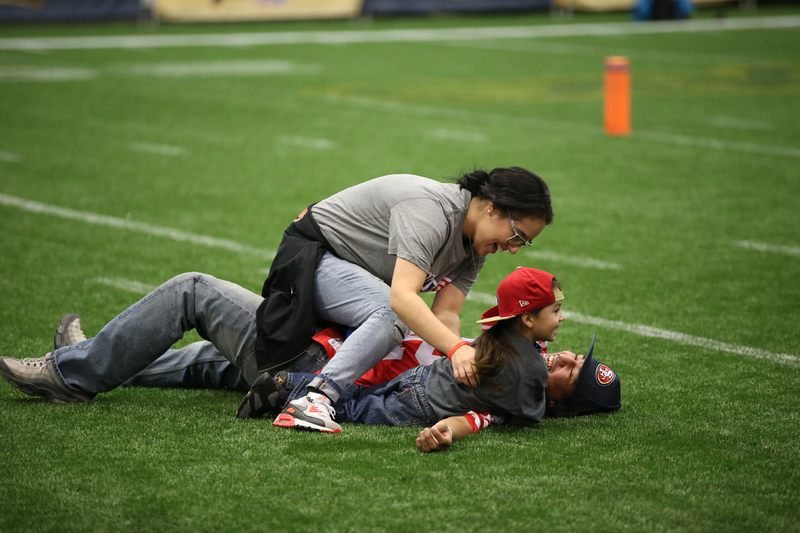 Within each football activity, kids and their parents participated in an exercise designed to foster engagement and relationship building among family members. 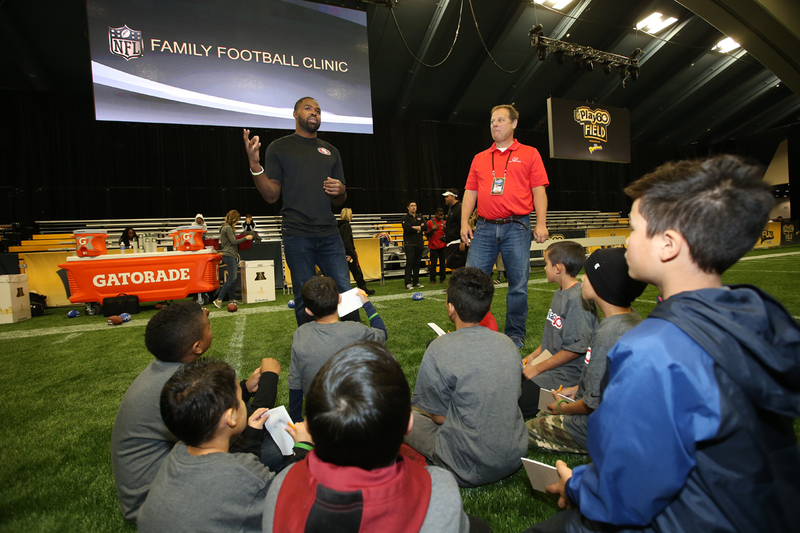 Special guest NFL players helped lead the activities and shared how they create family football memories with their kids.